I have so many wonderful sponsors for Blogmania that I wanted to share them with you. Without them, I would not be able to participate in Blogmania. So come on by in April and enter my giveaways. I am still looking for sponsors and my theme is From Our Kitchen To Yours. I am also including a collection of useful kitchen items in the giveaway. Joseph's Grainery is a family owned and operated business. Farming quality wheat, barley and lentils has been a family tradition for 5 generations now. They generously donated a Whole Grain Cookie Base Mix ($22.99) to the giveaway. 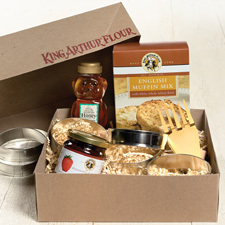 King Arthur Flour and Bakery has been in business for over seven generations. They use only the finest ingredients with no preservatives and additives. They donated the English Muffin Gift Set ($44.94). The set also includes strawberry- Rhubarb jam and honey. I am sure you will enjoy it. 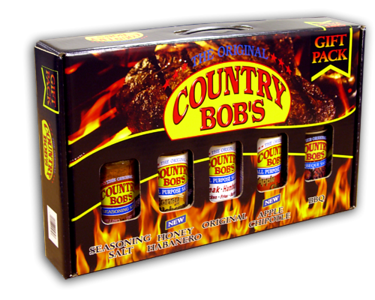 Country Bob's Barbecue sauces are fantastic and they are offering one of their Gift Pack ($19.99) that includes 4 types of sauce and a package of seasoning salt for the giveaway. Check out my review of the all purpose sauce. Snapware makes some practical and sturdy storage items for the home and kitchen. 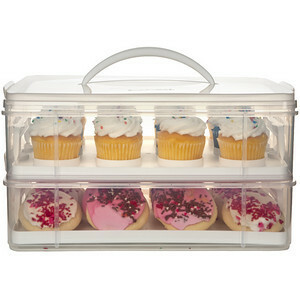 They donated the 2 layer cookie and cupcake carrier ($27.99) to the giveaway. This will come in handy, especially all those moms out there. Thanks to Lynda I am able to give away a 6 month e- subscription ($6.99) to 5 lucky followers to the Bold Ezyne. I have read the January 2011 copy and it has some great information in it.